Olivier from Taranaki finished his first batch of Turks today. 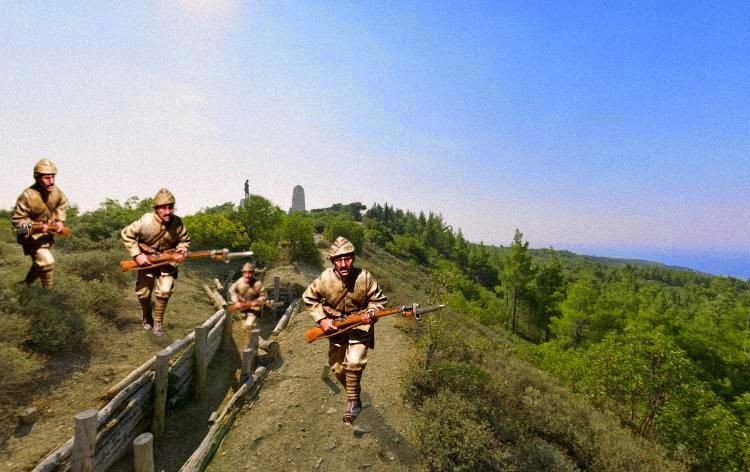 And because it's a lazy Sunday, and he had found this great panorama viewer of Chunuk Bair, he dropped a couple of his guys into the scene. 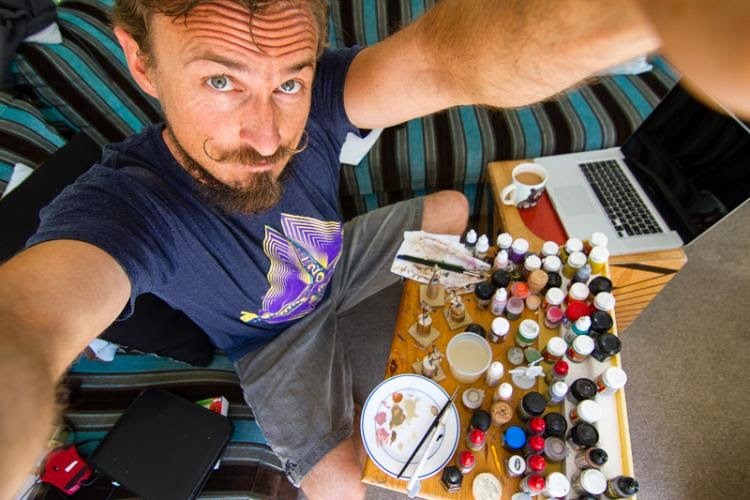 The paint station shot ...starting a new trend in mini painter 'selfies'? Love the montage. Cool idea.